The island of Fuerteventura is one of the most visited places in the Canary Islands. It is the second-biggest of the Canaries and the least densely populated. Tourists come here to experience the beauty of its diverse landscape, stunning beaches and to play a number of adventurous sports. It has a long coastline that stretches about 193 kilometres. Car rental has been the most popular option for tourists to enjoy the scenic beauty of this attractive island. There is a lot to do on this beautiful island. Tourists can enjoy every moment here as it is full of nightclubs and cafes. There are also plenty of beachfront hotels, which provide excellent hospitality services for their guests. In addition, you can also taste some of the most delicious dishes around in the restaurants of these hotels. This beautiful island can be found in the Atlantic Ocean and mainland Spain is not very far from here as is the coast of Africa. You can also visit the nearby islands Lanzarote Gran Canaria and Tenerife by regular ferries. Fuerteventura car hire is a great way to get around and enjoy the atmosphere as much as possible. Tourists can enjoy a number of activities like walking trails, windsurfing, sailing, scuba diving and many others to enjoy their holiday as much as possible. The whole island is full of beautiful landscapes and hiking enthusiasts can enjoy long treks and take in as much scenery as possible. There are excellent weather conditions, calm waters and good winds which are great for water sports. Yachts and boats are also available for tourists to rent. Boat trips along the coastline are popular with every member of the family and can be a relaxing way to spend a few hours. The nightlife of Fuerteventura attracts thousands of visitors every year. The whole island is filled with numerous restaurants, bars and nightclubs. It’s one of the best places to enjoy a party with friends. The resorts of Caleta de Fuste and Corralejo are well known among the tourists for their lively discos and dance bars. 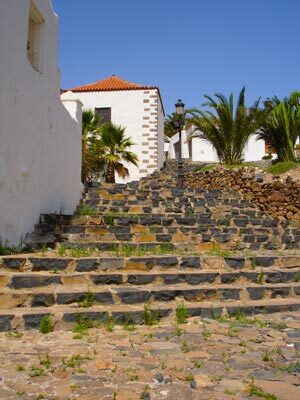 However, tourists should also visit the quieter villages situated around the coastline to get a feel for the traditional side of island life. Fuerteventura car rental is a popular transport choice and this is because it offers a freedom which cannot always be found when relying on public transport. Nobody wants to be tied to timetables when they are on a holiday as time is precious and there is so much more to do than wait at bus stops. Rentalcargroup.com offers car rental in more than 35000 locations, at all major airports and cities and railway stations. Below on this page you see a map with all the car rental companies we work with in Fuerteventura Airport. Driving around in the city of Fuerteventura Airport with a rental car can be a hassle but not impossible. Its a good way to move around but we advise to have a look at the local traffic rules as they may vary with what you are used to. Take in mind that in rush hour traffic can be pretty dense and it can take longer before you reach your destination. Last month, the average car rental length at Fuerteventura Airport was 5 days. The average rental car length at Fuerteventura Airport is 6 days. The most booked rental car type currently at Fuerteventura Airport is ECONOMY cars. Last year, the most booked rental car type at Fuerteventura Airport were ECONOMY cars. How much does it cost to rent a car at Fuerteventura Airport? Last month, the average car rental price was 102 USD. Last year, how much did it cost to rent a car at Fuerteventura Airport? Last year, the average car rental price was 98 USD. What is the current average daily price to rent a at Fuerteventura Airport? Last month, the average rental price was 20 USD per day. How much did it cost to rent a car at Fuerteventura Airport over the past 12 months? Last Year, the average rental price was 15 USD per day. The car rental companies available at Fuerteventura Airport are: Enterprise, Interrent, Cicar. See below last 5 customer reviews. Our customers rated Fuerteventura Car Rental with an average of 0.00 based on 0 ratings.